I hope you are enjoying your summer! I’m happily ensconced here at our summer home on Cape Cod, but my focus is on St. Barth. I’m back and forth to our Franklin, MA, office and at the ready to pop down to St. Barth as we add exciting new villas to our portfolio, update our website and make plans for the upcoming season. We are busy creating a new issue of our magazine Live Your Dream® (we think you’ll love it). Plans are also in the works for our annual Seaside Soirée. We’ll be launching the season and unveiling Live Your Dream® at the 5 star Le Barthélemy Hotel & Spa on December 2 – mark your calendar! Invitations will go out to all our clients who are on the island, and we are looking forward to what is always a fun evening. We are pleased to welcome Villa ELA to our portfolio. 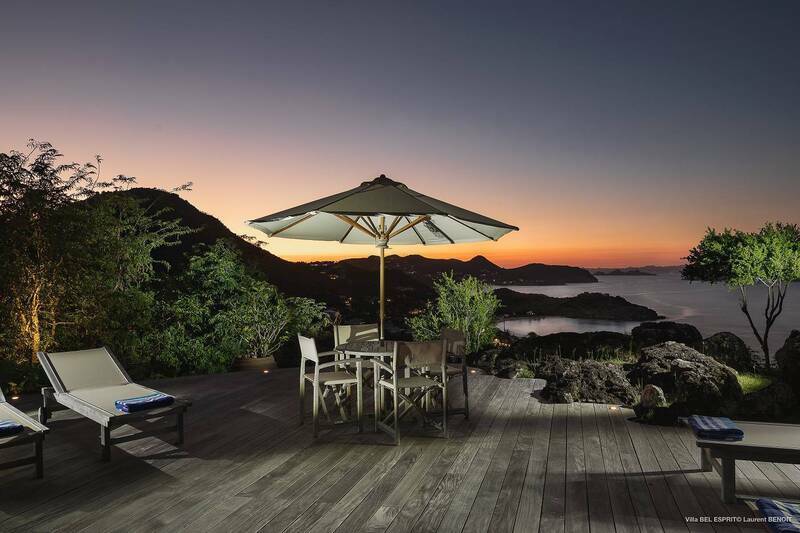 This exquisite villa compound is located directly on Flamands Beach – one of the island’s most popular beaches. Eight en suite bedrooms are housed – 4 each – in two separate bungalows. The main house’s open floor plan incorporates a kitchen, a dining area and a chic, comfortably furnished, air-conditioned living room. The décor, with its dark woods and white palette, embodies a casually elegant beach vibe. The living area opens to the deck and panoramic views of the sea. The expansive two-tiered wooden deck provides a wealth of outdoor living space (remote-controlled awnings provide shade as needed). There’s an oversized pool, an outdoor shower and a wet bar. The master suite, with its mahogany 4 poster king bed, sumptuous bath and sunken tub, occupies the second floor of the primary bungalow. A guest bedroom is adjacent, and two additional bedrooms are located on the lower level. All boast ocean views and the magical sound of the surf. The two-story guest bungalow offers garden views. Its 4 en suite bedrooms connect, which makes it ideal for families with younger children. The bungalow has its own air-conditioned living area and a kitchenette. The villa’s features include a tennis court, and one of the many advantages of ELA’s prime location is that it’s just steps from Flamands’ warm blue waters; guests can walk to beachfront restaurants for lunch or dinner. 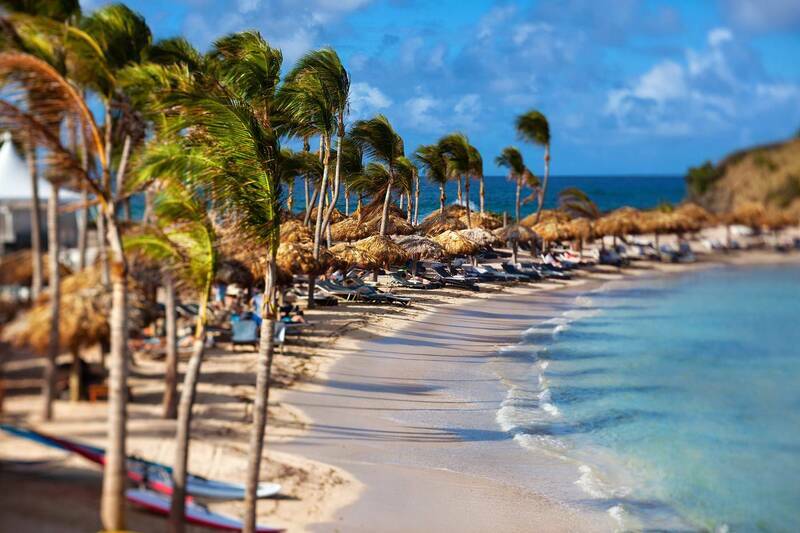 Le Guanahani – It’s not too late to plan a late-summer escape to paradise. Bring the kids! Le Guanahani has a Stay 3 Nights─Pay for 2 offer that’s valid from August 15 to the seasonal closing on August 25. At this full-service resort, there are water sports galore, and their Kids Club (ages 2-6) and Juniors Club (ages 6-12) have an agenda of activities with a taste of French culture. Available daily 9 am to 5 pm, both are complimentary. Mom is sure to love the Clarins Spa, and Dad can work on his tennis game. Le Guanahani makes for an idyllic romantic rendezvous as well. Can’t get away in August? The offer will be renewed when the hotel reopens on October 20 through November 8. 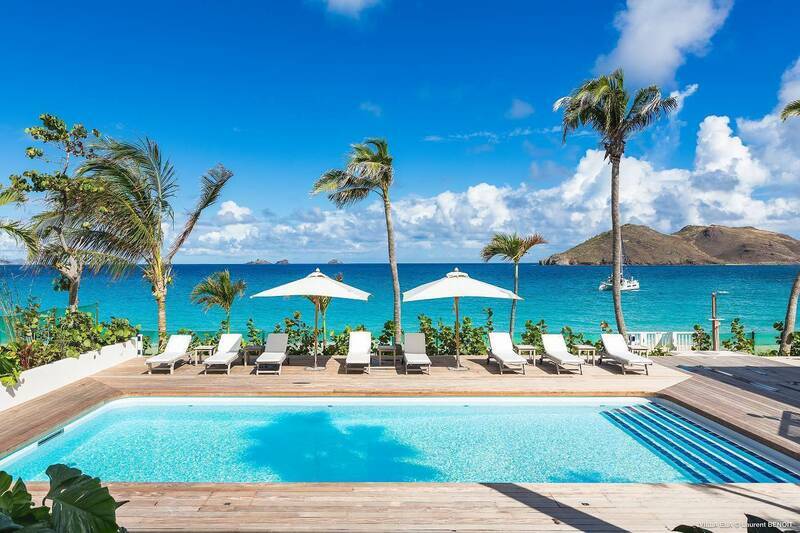 Villa Marie Saint-Barth – Love is in the air at this gorgeous 5 star boutique hotel. High in the hills above Colombier, it overlooks Flamands Beach. Enjoy a Champagne toast upon arrival, a romantic candlelit dinner and a soothing massage – all part of the hotel’s Love Package. This package includes: 1 bottle of Champagne, 1 massage per person (50 minutes), 1 dinner for two (3 courses except caviar, not including beverages). Valid through August 20, 2017. The St. Barth Family Festival will be bigger and better this year, as its organizer, Carole Gruson of Carole’s Places Group, which includes the notorious supper club Le Ti St. Barth, has combined it with the Summer Sessions music festival to create one big party. Carole is bringing some talented artists to St. Barth – and lots of excitement. The fun will kick off on August 3 and run through August 20. St. Barth Properties is pleased to be a sponsor. It’s not too late to book your accommodations with us. One of our clients created a gorgeous video, and he let me share it on my blog. Take a look. This exceptional property is ensconced in tropical gardens, with a spectacular view of Lorient Bay. Designed to honor West Indies architecture, the 4 bedroom estate boasts a wealth of luxurious features. Eight “case”-style pavilions include the main house; its open floor plan encompasses living and dining areas and a kitchen as well equipped as it is stylish. A bank of French doors provides access to a plantation-style veranda and outdoor living space; a swimming pool is beautifully situated to leverage the view. The 4 bedrooms, all with baths en suite, are housed in separate pavilions. Other pavilions include an atelier (workshop) that can be turned into a bedroom or caretaker cottage, an office and a “case” with a living room, bath, kitchenette and deck; adjacent to one of the bedroom pavilions, it makes for a lovely guest suite. The property includes a permit to construct two additional bedrooms. 5 star in every way possible! St. Barth is my favorite place in the world. The services your company provided were outstanding. Everything they could possibly have done, they did with ease and the St. Barth attitude of “Of course!” The house was awesome, perfect for the five of us despite being a bit out of the way, in that it’s not within walking distance of much. I would say our two best meals were at L’Isola & L’Esprit. Thanks for everything. Saline was our favorite beach. We got into a habit of getting up early, picking up something from the bakeries in Lorient and eating breakfast on the beach. We like Nikki Beach for lunch and Bonito and Bo Káo for dinner.